Sorry for the need of tissues, but hopefully this story will encourage others to adopt for the right reasons 🙂 They are ALL beautiful! I adoped a MacCaw just like that one with the same condition. I loved that bird!! We had her 8 or 9 years and we lost her due to an egg rupturing in her. I still miss her. I would take another in a minute. She was so sweet. How beautiful. I cried through the entire story!! Absolutely amazing and touching story. The “inner” beauties are the ones I always fall for too! They actually have a little more love to give! Wow this is so touching, making my eyes leak. Clemmie is a beautiful girl as beauty is in the eyes of the beholder. So many other special birds out there, may they all find their forever home. Thanks Deborah FeatherAngels for this special tribute. this really brought tears to my eyes !! I wish I could have been the human this birdie chose to rescue ! And we walk by faith and not by sight. This is a wonderful and moving tribute to someone who listens with her heart and not with her eyes. 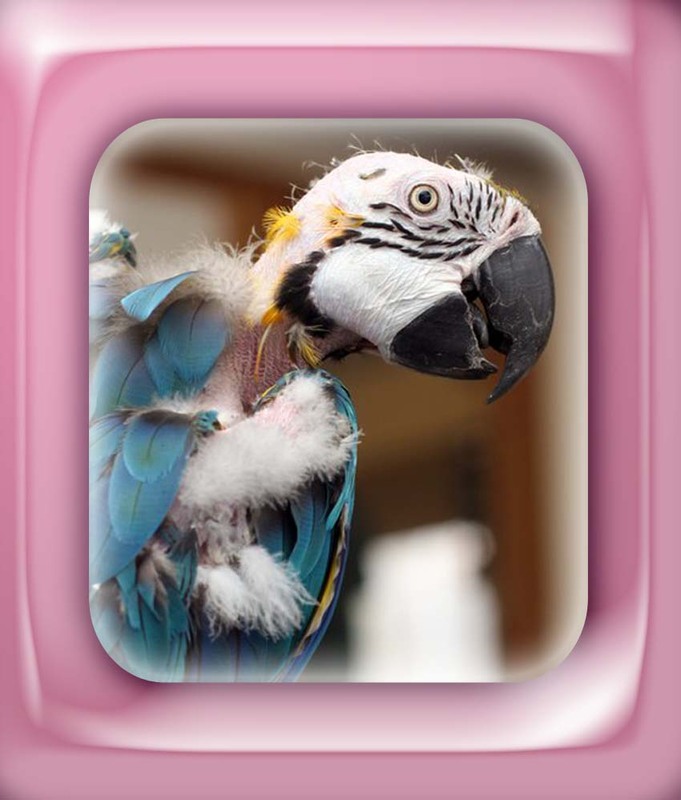 Thank you to Earth Angel Julie who will be blessed with the love of Feathered Angel Clementine – and thank you for posting this very special story. And may we all be blessed with a Feathered Angel who choses us. Clemmie will always hold a piece of my heart. I am so thankful that she found someone that truly loves and cares for her. I love you both very much! What a wonderful story! Who ever wrote it needs an award!!! If only all humans could see as this person does! To see as I do, as we all do here! Thank you so much for posting this story! I will share it with all I know!!!! Absolutely beautiful. It makes my heart sick to think of all the feathered and furry babies out there waiting….thank you for sharing this. I will pass it on. Why did I choose to read this at work..Its hard to hide tears with 50 people walking around! Really well written. Touching, poignant and a heart ripper. Thank you! Such a beautiful story for a beautiful bird. So glad I am home reading so that I can let my tears flow freely. I want to kiss that little head!! If only there were angels for all of the needed birds and other animals waiting for that one person that will love them unconditionally.we need to remember this bout our fellow man also.we r all special in our own way.I pray I come into some money to build a aviary santuary to take in as many as I can.like dogs,they give back soo much more than what u do for them.I have rescued these babies and haven’t regretted it for one moment! Thank you. It was like reading the story of me and Angel Baby. I bawled my eyes out. I am so happy that others love them as I do and yes I cried. You have such an eloquent voice for these wonderful birds, this story just came to life! Thank you!! Tears are streaming! Clementine..all angels are beautiful! A wonderful story, brought a tear to my eyes. I really respect people like you who can appreciate the inner beauty of these great and magnificent creatures. Crying like a baby!! Pretty clementine so happy ur momma found you! Beautiful I cried, I love it. Beautiful bit of penmanship! So happy for Clementine! Feathers optional. Birds have such an amazing capacity for love. How could you not cry? I am so happy that Clementine found her forever home. But I am also so very, very heartbroken to know there are so many, many more out there waiting for a family to love and to be loved. Beautiful story…weepy happy tears for Clementine. I can only imagine how happy and loved Clementine is now! First I heard the music, then I saw the picture, then I read the story, then I went through a box of Kleenex! LOVE IT!!! I wish I should save (love) all of them! Between the song that played and the intense words, I was a complete mess, had to use my shirt as a quick tissue, that was so well put together! Every parrot has its own story, so similar, some worse some easier but all in all they are all stories and they all make me cry. I love my babies and they will share my space in life until God calls me or them home. Thank you for this story. There have been so many new comments. Ms. Clementine and I would like to thank you ALL.. We’re coming up on our 1 yr anniversary, soon! She’s such a joy…. Very independent, not a “cuddly” bird… But that’s ok… She’s my BFF..
OK.. I do want to mention that she IS a diva.. She only likes rap music… Gangsta preferably.. (although I don’t)… She loves her almonds and her special toy from her aunt Liisa (Sweetbeaks) ,,,, Deborah Featheredangels is her godmother and loves her as much as I do.. 🙂 Ms. Clemmie is a character and I LOVE HER.. Watching her over the past year settle into “normal” has been an experience… We LOVE all of you for watching our story (Deb was on my shoulder) , but know that we are in a great place.. We just wish the same for all the rest of the beautiful birds out there in rescue! She is beautiful & I would have taken her in a heartbeat. What a beautiful story. Made me cry. Parrots are so smart. You had me crying in moments. Julie thank-you for loving this baby. My husband and I own “The Happy Parrot” and we help to re-home the big birds as so many need help in finding their “forever home.” We also see the beauty in each bird, no matter what they act or look like. Thanks again for loving her. Julie… nice to meet you. I am Paula and I run a home based rescue in Quebec, Canada. People are always asking me if the bird has all his feathers. i have pluckers, and feather mutilators and they have become permanent members of the flock because of the bonding to me because I love them so. It is their personality, not their feathers and I cannot explain that to just anybody. I am sure Clemmie is going to talk up a storm – she is just starting to relax with you. She is beyond beautiful! Aww Clementine. I too think you are beautiful and actually was accepted a couple years ago to come and adopt you but I could not find a way to get out to you! I am sooo happy you have a new family and are loved and who think you are as beautiful as I do!!! Thank you for posting hun and for seeing how these Angels do not belong in captivity, to be bred or sold. I’m actually in tears of joy….I’m just so moved and touched and happy for her! My heart goes out to her! My Draco, blue & gold macaw, I rescued is half naked. But I see him inside and I think he is the most beautiful, stunning, amazing babyboy in the world! Such a beautiful bird. Looks are not everything and the roughest looking little birdie can make the best loving companion for life. How lovely! And you really had to hit us with “somewhere in time.” Sheesh. So happy for her, and for her person to see her beauty. Thank you for sharing. -Crepes. I wish I was that angel because Clementine would have had a home with me. What a beautiful, though extremely sad, story. I am so very happy for beautiful Clementine, and I hope that the other birds in need of loving homes will find them. Thank you for giving them your love and wonderful care. Nothing compares to the love for a companion animal. I would love to adopt, but there are no rescues where I live. I do my best to help indirectly. Tears in my eyes and joy in my heart…..